Welcome to the Buffalo Mountain Riders Cabin. Our accommodations are comfortable, affordable and very memorable. Located across the bridge from the Historic Town of Matewan WV , less than 200 yards to the Devil Anse trail entrance and gives you access to the Rockhouse and Buffalo Mountain trails. Our location allows walking distance to gas, food and grocery store. The cabin sleeps 4-6 riders comfortably with capacity of 8 .A large shower /tub, full kitchen , TV and internet compliment the cabin. Side covered area for parking bikes, 4 wheelers or side by side units. The lot allows for plenty of parking , tents and can accept campers. 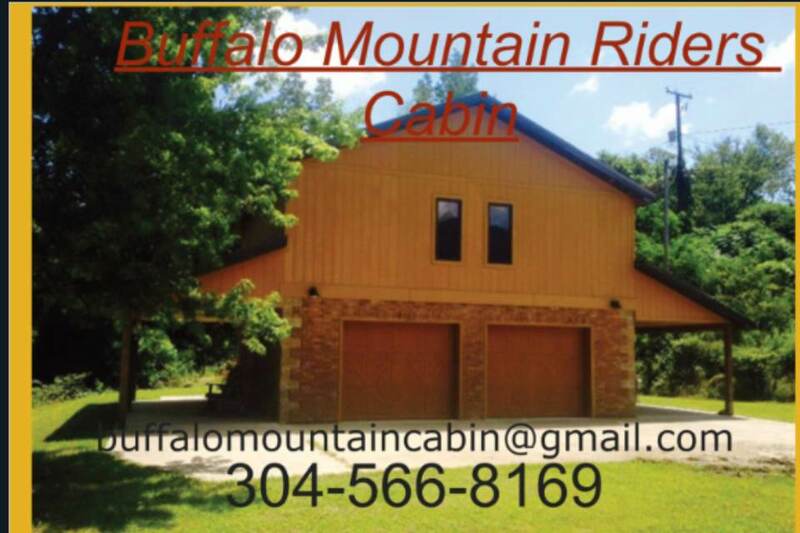 Buffalo Mountain Riders Cabin– the place to Stay, Play and Relax!! !